He has over 20 years' experience as an entrepreneur, Chief Executive and Company Director in the information technology, international trading, telecommunication, healthcare, education and financial services sector. Mr. Baljinder Sharma, associated with Cash Suvidha as an Advisor, has personally contributed to the design and delivery of a course on entrepreneurship development. Compelled by his 20 years' work experience as an Entrepreneur, Chief Executive and Company Director, he is contributing his cent percent effort in company’s growth. The engineering graduate from NIT Jaipur had previously worked for HCL Ltd. and many more organizations. He is a Partner with a major Investment Advisory firm focusing on cross-border M&A. After a short but fruitful career in the IT services industry he has since been involved in building entrepreneurial ventures in the education, technology, investment banking and telecommunication industry. He has personally contributed to the design and delivery of a course on entrepreneurship development. Mr. Sharma worked for worked for HCL Ltd. He has over 20 years' experience as an entrepreneur, Chief Executive and Company Director in the information technology, international trading, telecommunication, healthcare, education and financial services sector. 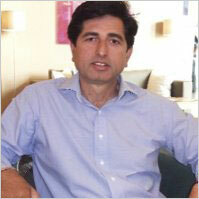 Mr. Sharma has been a Non-Independent Non-Executive Director of Bharat Telecom Ltd. since August 19, 2010. He serves on the Board of a global healthcare provider, a US$ 500 million Private Equity Fund, a Licensed Commercial Bank in Mauritius and a listed telecom services provider. He served as a Director of CTIL Limited (Comp-U-Learn Tech India Limited) from April 30, 2008 to September 30, 2011. He served as a Member of Global Advisory Council of Global Equations LLC. He has extensively worked in the India-Africa corridor over the last 20 years. Mr. Sharma holds a degree in Electrical, Electronics and Communication Engineering (B Eng) from the National Institute of Technology, Jaipur, India and a post graduate qualification in management (MBA) from University of Mauritius. His education also includes an Advanced Management Program from Indian School of Business, a course on Private Equity and Venture Capital and another course on M&A and Corporate Restructuring from the Harvard Business School.